This is a guest blog from Estelle Shumann, with permission. I think the topic and point are perfect for these times. I see too often that colleges, schools and even individuals think that spending money on technology will fix "whatever ailes them". All too often hardware and software are wasted because little or no planning was done. Thanks Estelle! The classroom is typically quick to adapt to advances in information technologies. High schools, colleges and universities are among the first places you’re likely to see cutting-edge computers, laptops and other technological equipment. In fact, many are turning cutting edge technologies into accredited online universities. One technology that’s just starting to make the leap towards widespread use in higher education is the tablet computer. In institutions of higher education, tablets are perceived less as luxury commercial technology than as useful tools with the potential to make education more efficient. 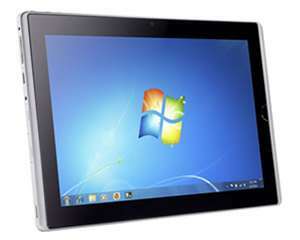 Grandview High School in Jefferson County in Missouri is one high school attempting to increase the use of tablets for schools. A St. Louis Post-Dispatch story from August 2011 reported that the school spent approximately $164,000 to provide tablets and wireless Internet access for each of its 330 students. Grandview principal Matt Zopf said that students would retain the same tablet throughout high school and keep it after graduation. Once the tablets are in the students hands, there are several ways that this equipment can impact their educational lives. Tablets can be used to take tests or complete and submit homework. Entire online classrooms can be created through different tablet applications, such as Moodle. Textbook software can also be downloaded to the tablets, giving students a digital textbook and cutting down on paper printing. Although Grandview’s tablet implementation has progressed smoothly, other school districts have suffered different fates. Jennings School District in St. Louis County spent $1.25 million on 2,500 handheld computers. Poor management led to seldom-used tablets and $77,500 in missed rebates, costing the district $300,000 more than was budgeted for the project. Cost is a big factor in implementing any new technology in education, and tablets are no different. An infographic printed by McClatchy Tribune compares the prices of tablets and educational software over the course of the six-year life-span typical of most college textbooks. For a typical classroom of 32 students, the cost of equipment and annual software upgrades would total approximately $36,000. This figure is almost three times the estimated cost of traditional text and workbooks for the same classroom. Statistics indicate that tablet ownership among students is growing, especially at colleges and universities. A 2012 study conducted by the Pearson Foundation found that 25% of all college students own a tablet, up from only 7% the previous year. Of those students who owned a tablet, 90% felt that their tablet was useful for educational purposes. Approximately two-thirds of all college and high school students surveyed believed that tablets and digital textbooks would replace traditional textbooks within five years. The use of tablet computers has encouraging potential for the future of education. Like laptops and other recent technological advances, tablets take the power of computing and wireless Internet access and make it even lighter and more portable. Although cost-prohibitive at the moment, technologies have a way of becoming cheaper with time. As the price tag on tablet computers plummets, so will any major obstacles keeping schools from implementing the use of tablets on a much wider scale.